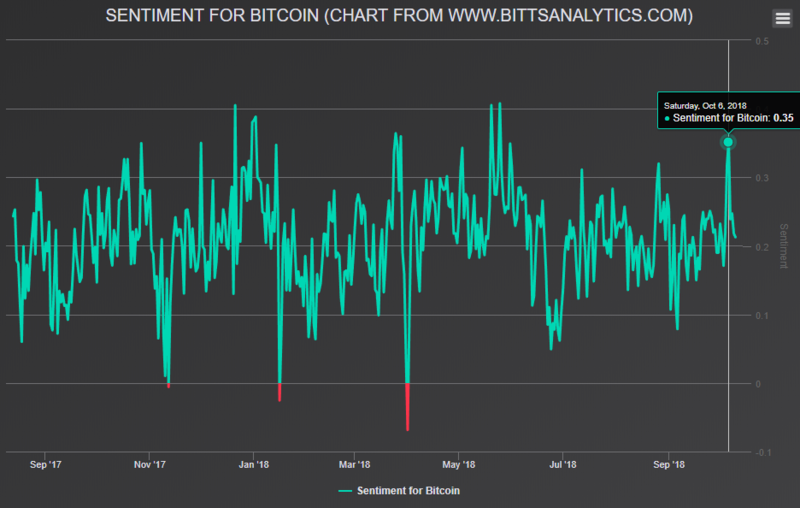 In this post we are looking at recent social media sentiment data for Bitcoin. Sentiment is determined with machine learning from analysis of texts in social media posts about Bitcoin. you will notice that although the prices were relatively high the sentiment was really on the lower part of historical range for the last 10 days. Just before the price fell, it was again near the trough. Especially concerning was also the development days ago when the hourly sentiment reached record levels without any major movement in price itself.